Tanzania was recently rated the 3rd best place to visit in 2015 by the New York Times. When most people hear or think about Tanzania, places like the Serengeti National Park, Selous game reserve, the northern tourist circuit with its numerous national parks come to mind. Let’s not forget the sandy beaches on the shores of the Indian ocean. But there’s a gem in Tanzania, that people perhaps do not know, or have forgotten about and yet it is such a beautiful place to visit. The Udzungwa Mountains National Park are indeed a forgotten treasure in the abundance of tourist sights in Tanzania. 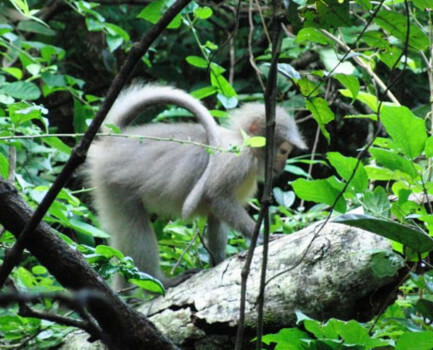 Udzungwa Mountains National Park is a wildlife sanctuary for almost every creature one can ever hope to find on the African continent yet its beauty has not received the attention it deserves from local and foreign tourists. Udzungwa Mountains National Park (UMNP) has been around for 23 years and is located 60 km south of Mikumi National Park along the Mikumi-Ifakara road and about 380 km from Dar es Salaam, Tanzania’ s commercial capital. The park covers an area of 1,990 square kilometers. It was named by the Germans probably in reference to the word “Wasungwa”, which is one of the tribes who live on the slopes of the mountains. It was declared a national park in 1992 by Prince Bernhard of Lippe-Biesterfeld of Netherlands, the founder of World Wide Fund (WWF). Some of the amazing and beautiful things in the park include various mammals, reptiles, birds, amphibians, and several butterfly species. The park also has very unique endemic plants and trees. It has six primate species five of which are endemic. These include the Iringa red colobus and the Sanje Mangebay. For the avid bird watcher, Udzungwa has a variety of bird species, you couldn’t possibly see all of them in a single trip. There are over 400 different bird species in the park. It is actually one of Tanzania’s key bird sanctuaries. There are endemic birds such as the Eastern Arc, and numerous easily seen birds like the green-headed oriole. There are many ornithologists who think that the park is an avian wealth. There also water falls and exciting hiking trails and the park management is hoping to create some more to enhance the tourist experience. It is a sad thing that with all its beauty and all that it has to offer, the park has not yet gained popularity with tourist on safari in Tanzania, after all these years. Smaller parks such as Lake Manyara in the northern part of the country still attract more visitors and so bring in more revenue that UMNP. It attracts over 130,000 foreign tourists annually while Udzungwa Mountains attracts a measly 8000 foreign tourists each year. Tanzania National Parks Authority (TANAPA) which manages all the national parks in Tanzania is hopeful that things will soon change for parks such as Udzungwa mountains. There is no reason why the park has such low number except perhaps preference and marketing. The park is peaceful with a very beautiful environment, climate, as well as friendly people which are all important in promoting tourism in Tanzania. 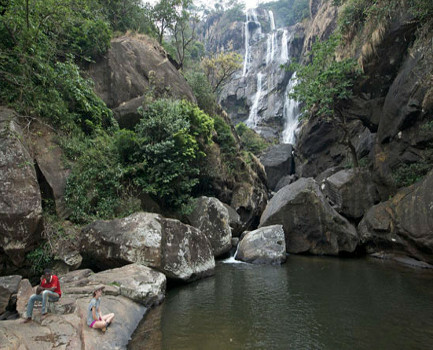 Little known parks such as Udzungwa mountains national park should be marketed more, and facilities improved so as to utilize all of the country’s tourism potential.